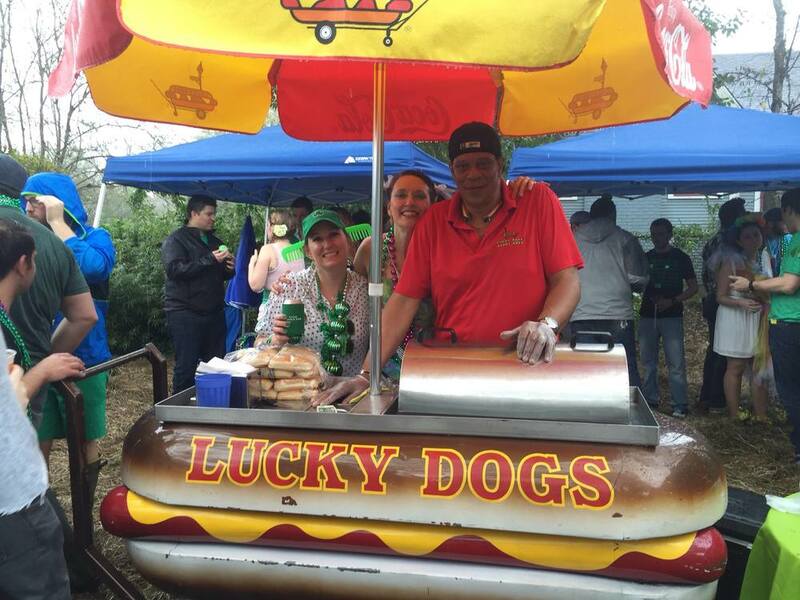 Catering — Lucky Dogs, Inc.
Our minimum package is $715.00. That includes an original 1940's Lucky Dog cart, a server, and up to 300 hot dogs, condiments (mustard, ketchup, chili, and onions), and up to four hours of serving. This price is for events held in the greater New Orleans area. For those taking place in Baton Rouge, Mandeville, Slidell, Covington, or Houma there is an additional $100 charge to cover gas and traveling time. If you prefer us to serve for more than the four hour minimum there is an additional charge of $50 per hour. If you need more than the minimum amount of dogs there is an additional charge of $1.50 for every dog served over 300. The maximum dogs that can be served per cart is generally 450. If we can be of help or if you need additional information please contact us at 504-524-6010.